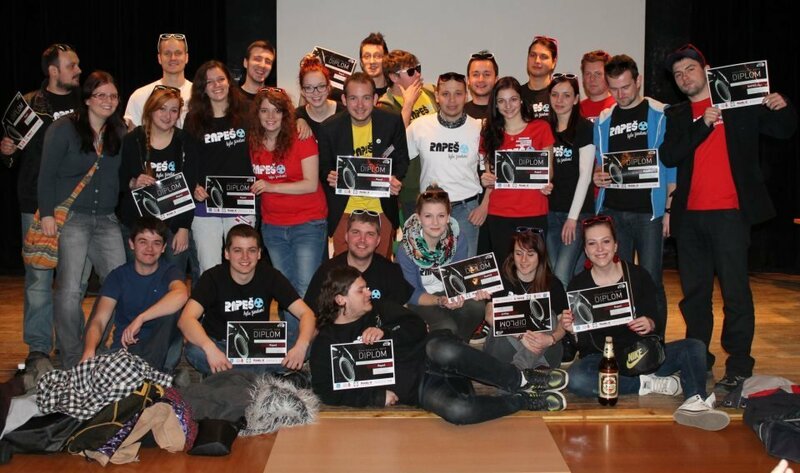 The Slovak national amateur sound contest RADIORALLYE 2014 in Trnava attracted 177 sound entries and approximately 200 participants including two university teams from the Czech Republic. 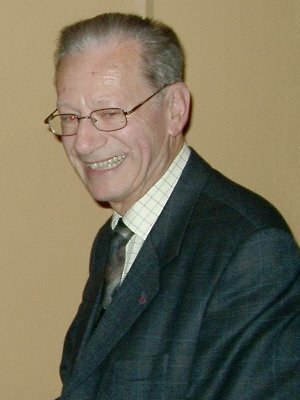 Jan Mees was Vice president, General Secretary and Treasurer of the FICS from 1959 to 1990. 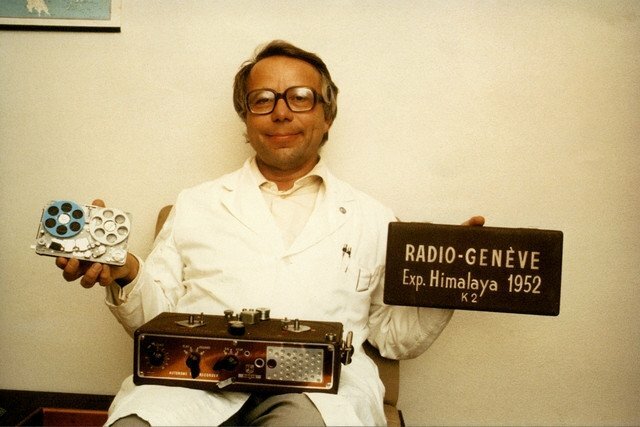 He got his first recorder 1942 and was the winner of the first IARC 1952! The FICS congratulates to this great day and is thankful for the great support from Jan. For many years Jan offers also the “Dr. Jan Mees Prize” for the IARC. The following text is taken from a report in the brochure 60 years IARC: “In the year 1952 Jean Thevenot and René Monnat organized the first CIMES. Of course we have given our recordings to the contest and our sketch “A la poursuite de M. Sprunk” got the Grand Prix. What can you wish more as a young soundhunter? At its AGM on 10th May BSRA members voted to wind up the Association. A final meeting will be held in November. Owing to the low number of entries and entrants the British Sound Recording Association (BSRA) has announced that it has cancelled both its internal contest and the British Amateur Recording Contest. Selected entries will go forward to the International Contest. The german radio station "Deutscher Unterhaltungsrundfunk" started broadcasting on 29th October 1923. At that time Werner Klippert was six months old. The first mass medium would determine his live. Firstly as reviewer of radio drama, later as writer of radio dramas and then as dramatic adviser and as head of the radio drama department of the Saarländischer Rundfunk. Werner Klippert has been an Honorary Member of the FICS since 2008 and for 40 years has been a judge of the International Contest, CIMES. The German radio station "Deutschlandradio Kultur" will present a special program on 21.04.13 from 18.30 - 20.00 CET (+0200). You can listen on the web at http://www.dradio.de/. Als am 29. Oktober 1923 der "Deutsche Unterhaltungsrundfunk" auf Sendung ging, war Werner Klippert ein halbes Jahr alt. Das erste elektronische Massenmedium sollte sein Leben bestimmen. Zunächst als Hörspielkritiker, später als Hörspielautor, dann als Hörspieldramaturg und Hörspielchef beim Saarländischen Rundfunk. Werner Klippert ist seit 2008 FICS-Ehrenmitglied und seit 40 Jahren als Juror am IWT tätig. Deutschlandradio Kultur widmet ihm am Sonntag, 21.04.2013 eine 80-minütige Sendung - www.dradio.de, die über Internet gehört werden kann. The Slovak national amateur sound contest RADIORALLYE 2013 in Zilina attracted 253 sound entries ans approximately 200 participants including two university teams from the Czech Republic. The winner is RAPES - Zilina university amateur radio, Hliny College (below). Mr. NAGRA, the Soundhunter Pioneer, has died at the age of 84 on 26th January 2013. Thanks to him, mobile sound recording for reportage and film soundtrack became very important. 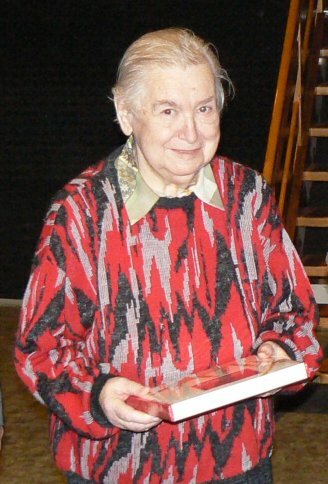 Stefan Kudelski won the first IARC in 1952 with his recording “Le bourdon de Notre-Dame”. For decades the Nagra was the dream of all soundhunters and it remains forever their bedrock. Thank you Mr. Kudelski. Mister NAGRA / der Tonjäger - Pionier, ist im Alter von 84 Jahren verstorben. Dank Ihm wurde die Tonaufnahme mobil, was für Reportagen und Filmtonaufnahmen sehr wichtig war. Stefan Kudelski gewann mit dem selbst gebauten Gerät den 1. IWT 1952. Jahrzentelang war das Nagra der Traum aller Tonjäger und bleibt für immer der Grundstein der Tonjägerei - Danke Mister Kudelski. Am 25. November 2012 ist unser lieber Freund Harry 84 jährig in Nürnberg verstorben. 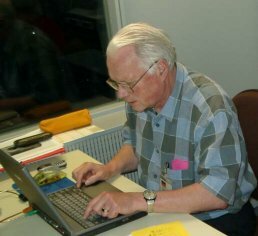 Harry war viele Jahre Vorsitzender des Landesverbandes Bayern des RdT Deutschland, Organisator vieler Treffen und von 1990 - 2002 Kassier der FICS. Harry war sowohl aktiver Ton- wie auch Videoamateur. Seine Produktionen werden wir in guter Erinnerung behalten. Our dear friend Harry Rudtke died on 25th November 2012 in Nürnberg. He was 84. 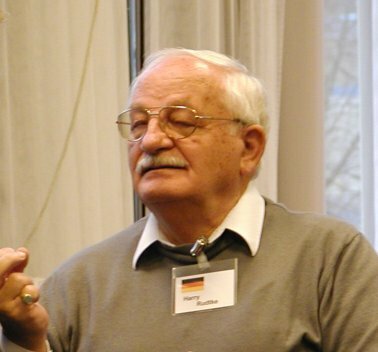 For many years Harry was President of the Bavarian Club of the RdT Germany, organiser of many meetings and from 1990 to 2002 was Treasurer of the FICS. Harry was both a sound and a video amateur. His productions leave us with many good memories. Helmut Weber, Generalsekretär / General Secretary. 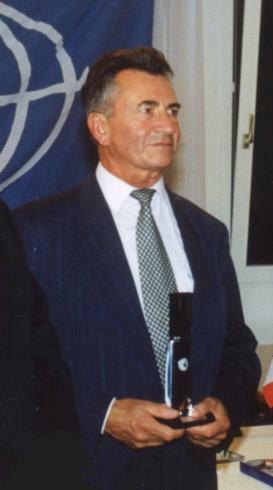 Milan was president of the FICS from 1990 to 2007. He was a very active sound- and video amateur. At the IARC in Smolenice in October of this year he won the GP AUDIO for the first time. Milan was also president of the Swiss sound hunter section St. Gallen from 1971 until 1991. We grieve for a dear and enthusiastic friend who not only managed the FICS activities for 17 years, but also ran many national and international contests and DACH-meetings. He had good connections to many friends in other countries. We will keep very good memories of Milan. Our sympathy is with his family. Wir haben die traurige Nachricht, Ihnen den Hinschied unseres Ehrenpräsidenten Milan Haering (2.9.1933 - 27.12.2010) mitzuteilen. Milan war von 1990 - 2007 Präsident der FICS und selbst sehr aktiver Ton- und Videoamateur. Im Oktober dieses Jahres hat er erstmals den GP AUDIO am IWT in Smolenice gewonnen. Milan war während 20 Jahren (1971 - 1991) Präsident der St. Galler Tonjäger. Wir trauern um einen lieben und sympathischen Freund, welcher mit seinem Organisationstalent nicht nur die Geschicke der FICS, sondern auch die Organisation vieler nationaler und internationaler Wettbewerbe und DACH-Treffen meisterte und die Kontakte zu anderen Länderassoziationen aufrecht erhielt. Wir werden Milan in sehr guter Erinnerung behalten. The 19th biennial International AV Festival took place on September 19th 2010. Robert Albright (left) was presented with the Jean Thévenot Medal by FICS President John Willett. The medal is sponsored by FICS and is awarded for the sequence with the best sound. We are sad to learn of the death of Helena Nováková on 28th May, 2010 at the age of 76. Helena was founding member and secretary of Ceský Fonoklub from 1969 till 2009 and Vice-President of the FICS from 1991 till 2007. She was a contributor to the Czech Radio and also coordinator for the soundhunter programme of Radio Prague. We grieve for a dear and enthusiastic friend who for a long time not only managed the Cesky Fonoklub, but also ran many national and international contests and DACH-meetings. She had good connections to many friends in other countries. We shall never erase Helena from our memory or from our recordings! Helena Nováková ist nach langer Krankheit am 28. Mai 2010 im Alter von 76 Jahren gestorben. Wir trauern um eine liebe und interessierte Kollegin, welche mit ihrem Organisationstalent nicht nur die Geschicke des Tschechischen Fonoklubs, sondern auch die Organisation vieler nationaler und internationaler Wettbewerbe und DACH-Treffen meisterte und die Kontakte zu anderen Länderassoziationen aufrecht erhielt. Wir werden Helena nie aus dem Gedächtnis und aus den Tonaufzeichnungen löschen. 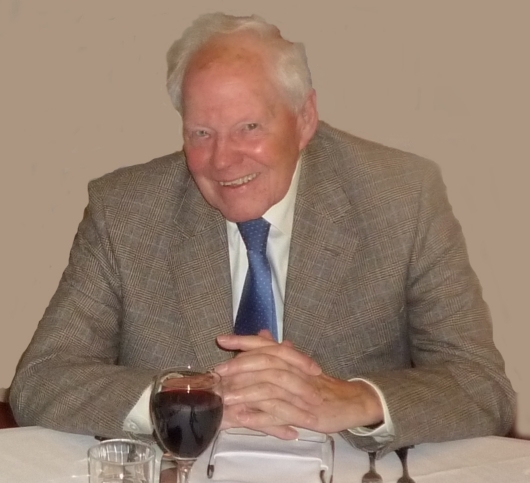 We are sad to learn of the death of Guy Tavernier on 23rd December at the age of 86. M. Tavernier was chairman of the French soundhunters federation. 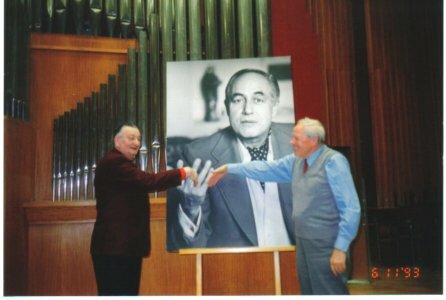 The photo shows Guy Tavernier (left) and Jan Mees with a photo of Jean Thévenot. 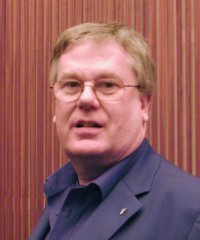 We are sad to report that our friend Dr. Dennis Goodwin, long-serving Council member and Treasurer of the Federation of British Tape Recordists and Honorary Member of the British Sound Recording Association, died in hospital on April 8th, 2009. He was 66 and had been suffering from an Alzheimer-type condition for some time. Am 8 November ist unser geschätzter Fritz Aebi im Alter von 93 Jahren verstorben. Fritz Aebi ist 1965 der Sektion Bern des damaligen Schweiz. Tonjägerverbandes beigetreten. Bereits 1969 übernahm er das Vizepräsidium der Sektion und zwei Jahre später das Zentralpräsidium des Verbandes. Parallel betreute er von 1966 - 1982 das BULLETIN. Von 1980 - 1990 war er FICS-Präsident und anschliessend ab 1994 noch 5 Jahre Präsident der Sektion Bern. Die Geschichte des Schweizerischen Bild- und Tonjägerverbandes wie auch der FICS wurde entscheidend von Fritz Aebi geprägt. Trotz der starken administrativen Tätigkeit war Fritz Aebi während langer Zeit aktiver Teilnehmer an den Veranstaltungen der Sektion Bern sowie an nationalen und internationalen Anlässen. Rundbandhörer und -seher erinnern sich gerne an seine pointierten Aufsprachen. Sein bekanntestes Tonjägerwerk war sicher Der Frühling, mit welchem er 1969 den damaligen Scotch-Wettbewerb gewann. Wir werden Fritz in sehr guter Erinnerung behalten und entbieten den Trauerfamilien unser Beileid. Le 8 Novembre notre cher ami Fritz Aebi est décédé à l’âge de 93 ans. Fritz Aebi est devenu membre de l’Association Suisse des Chasseurs de Sons en 1965. En 1969 déjà, il est devenu vice président de la section et deux ans plus tard président central de l’association. Parallèlement il s’occupa du bulletin de 1966 à 1982. De 1980 à 1990 il fut président de la FICS et ensuite de cela, à partir de 1994, président de la section de Berne durant 5 ans. L’histoire de l’Association Suisse des Chasseurs de Sons et d’Images, comme également de la FICS a été empreinte de manière décisive par Fritz Aebi. Malgré une intensive activité administrative, Fritz Aebi a participé durant de longues années aux rencontres de la section de Berne ainsi qu’aux rencontres nationales et internationales. Les auditeurs et spectateurs des bandes audio et vidéo en circulation se souviennent volontiers de ses discours marquants. Son œuvre la plus connue est sûrement Der Frühling, avec laquelle il a gagné le concours Scotch de l’époque. Nous conserverons un excellent souvenir de Fritz et transmettons aux familles en deuil nos sincères condoléances. 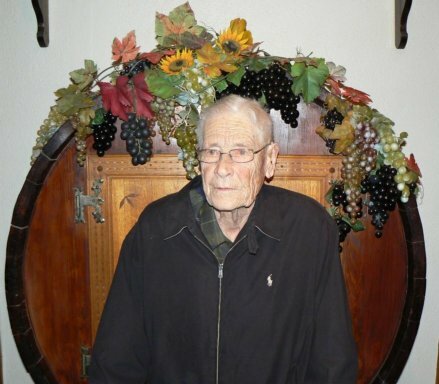 On the 8th November, 2008 our dear friend Fritz Aebi died at the age of 93. Fritz Aebi entered the Bern section of the Swiss Sound Hunters in the year 1965. Then in 1969 he was appointed vice president of the section and two years later president of the Swiss Association. In addition he was editor of the BULLETIN from 1966 to 1982. 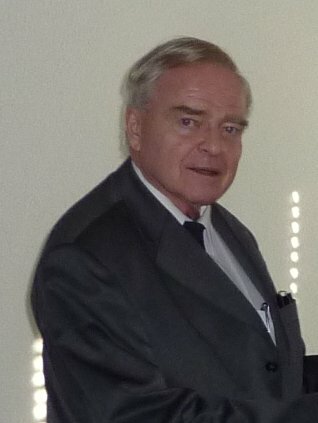 From 1980 to 1990 he was President of the FICS and to finish this large engagement he took over the presidency of the section Berne from 1994 to 1999. The history of the Swiss Association as well as of the FICS has been affected vitally by Fritz Aebi. Besides this large engagement he was for a long time a very active participant at the events of the section and on national and international meetings. Listener and viewers of sound- and videotapes will certainly remember some of his pointed remarks. His most famous sound work was certainly Spring, with which he won the 1969 SCOTCH Contest. We will keep a very good memory of Fritz. Our sympathy is with his family. 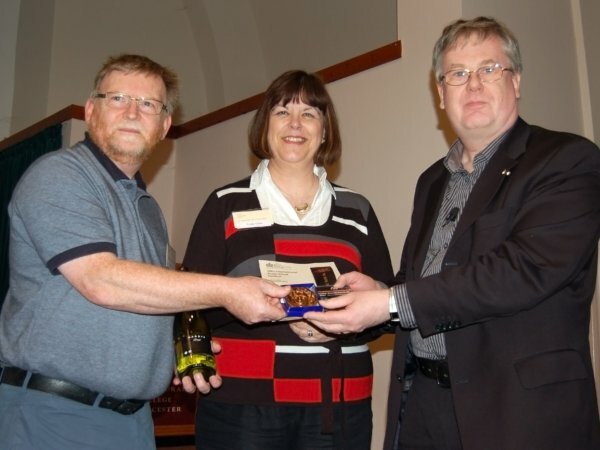 FICS President, John Willett (right) presented the Jean Thévenot medal to Edgar and Linda Gibbs for the entry with the best sound in the 18th RPS International Audio-Visual Festival held at the Royal Agricultural College, Cirencester from 19th to 21st September 2008. The festival takes place every two years and is supported by FICS. We are very sad to hear of the death of Wally Huisman on April 28th, at the age of 77. He had apparently contracted a serious MRSA-type infection in his leg after a fall for which he was treated in hospital. Our sincere condolences go to his family and the Dutch Soundhunters. At the FICS Congress in Cesky Budejovice, Czech Republic, John Willett was elected as the new President of the FICS, succeeding Milan Haering who had indicated his willingness to step down. Mr. Willett is Chairman of the British Sound Recording Association and is a member of the Institute of Broadcast Sound. He is also a freelance recording engineer and a customer support engineer with Sennheiser UK Limited. 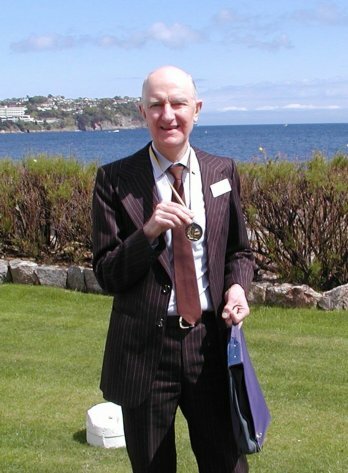 Mike Dickins of Kidderminster won the Audio Grand Prix at the 2007 International Amateur Recording Contest with his entry “Transport of Delight” featuring recordings made at the National Tramway Museum at Crich. The UK entries also won the prize for the best national selection. Am 30. Dezember 2006 ist nach langer Krankheit der Vorsitzende des Ring der Tonband- und Videofreunde (RdT) Deutschland, Paul-Heinz Rütterswörden im 72. Lebensjahr verstorben. Seit 1993 hat Paul-Heinz den RdT mit viel Engagement geleitet und im Jahre 2002 den IWT in Baden-Baden durchgeführt. Er war selbst ein sehr aktiver Videofreund. Wir haben einen lieben Freund verloren, der viel für unser Hobby geleistet hat. Unsere Anteilnahme und Mitgefühl gelten seiner Frau Renate sowie den Familienangehörigen. 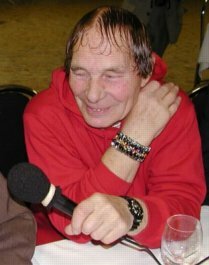 We regret to inform you that our dear friend and chairman of the German Soundhunters, Paul-Heinz Rütterswörden died on 30th December, 2006. Paul-Heinz was chairman of the German Soundhunters (RdT) since 1993. In 2002 he was in charge of the organisation of our IARC in Baden-Baden. We have lost a good friend. Our sympathy is with his wife Renate and his family. 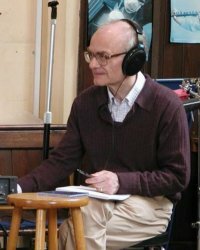 We are delighted to announce that distinguished composer and Honorary Vice-President of the British Sound Recording Association, Dr. John Rutter, has been appointed a Commander of the Order of the British Empire (CBE) in the New Year's Honours List, 2007, for services to music. We send our heartiest congratulations to John on his honour. Once again this was the highlight of the FICS-year. Our Dutch friends have offered us some nice and interesting days in Ossendrecht. 53 entries from 8 countries showed the work from the European Sound- and Video amateurs. This event will take place from 18th-22nd October 2007 at the studios of Radio Cesky Budejovice. The subject for category G is "My ordinary day" for Audio - Video - Multimedia. Maximum playing time is 8 minutes. Please strive to get the greatest participation at your national contests. Our contest can only survive if we obtain enough entries from as many countries as possible. The German member association is celebrating its 50th anniversary this year under the motto "Three with one stroke". Everybody is welcome at the meeting on the Mecklenburg Bight (Baltic Sea) in Rostock/Sievershagen. The national contest will be held on 21st/22nd June 2007. The actual jubilee meeting will be on 23rd/24th June, 2007. It would be nice to welcome members from other FICS countries at this meeting. The region at the Baltic Sea is also a good location for a holiday. You can request more details from the general secretary. Registration closes on 30.04.07. The New Year's resolution of the FICS General Secretary is the launch of a FICS audio magazine (starting in German). It will present information from the FICS world and depending on the material available up to four times a year. The production will be available on MD, CD or cassette. Our dear friend Fred Köhli died on Friday, 6th January. Fred Köhli was the treasurer of the Swiss Soundhunters from 1981 until his death. In 2002 he was elected FICS Treasurer, but he had to give up due to illness last year. As the Bernese club had problems in filling the committee he and his wife Ruth were ready to help them out. His "radiofone" voice could be heard for almost 40 years (from 1961 to 1999) as a news reader for Swiss Radio. A lot of couples enjoyed the special "wedding news" which he produced in his own studio. He was also a favourite speaker for film and diaporama shows. For a short time he has been working on a Bernese radio station for elderly people. We have lost a very good friend. Our sympathy is with his wife Ruth and his family. Am vergangenen Freitag, 6. Januar ist unser geschätzter Fred Köhli nach schwerer Krankheit im 70. Lebensjahr verstorben. Fred Köhli betreute beim Schweiz. Bild und Tonjägerverband von 1981 bis heute die Zentralkasse. 2002 übernahm er auch die FICS-Kasse und als vor zwei Jahren Not am Mann war bei den Berner Tonjägern, war er mit seiner Frau Ruth auch hier zur Stelle. Seine radiofone Stimme war während fast 40 Jahren (von 1961 - 1999) als Nachrichtensprecher auf Schweizer Radio DRS zu hören. Seine legendären Hochzeitsnachrichten haben das Fest vieler Paare bereichert. Auch als Sprecher bei Film- und Diavertonungen war er bei vielen Amateuren beliebt. Leider nur für kurze Zeit konnte er seine Fähigkeiten beim Seniorenradio Silbergrau einbringen. Wir haben einen äusserst liebenswürdigen Freund verloren. Unsere Anteilnahme und Mitgefühl gelten seiner Frau Ruth sowie den Familienangehörigen. Notre estimé Fred Köhli est décédé le vendredi 6 janvier dernier dans sa 70ème année, suite à une grave maladie. Fred Köhli s'est occupé de la caisse centrale de l'Association Suisse des Chasseurs de Sons et d'Images, de 1981 à aujourd'hui. Depuis 2002 il s'est aussi occupé de la caisse de la FICS et, lors d'une pénurie de volontaires il y a deux ans, a pris des responsabilités dans la Section de Berne, conjointement avec sa femme Ruth. Sa voix radiophonique fut audible pendant près de 40 ans (de 1961 à 1999) à Radio DRS où il présentait les nouvelles. Ses légendaires informations sur les mariages ont enrichi la fête de beaucoup de couples. Il était aussi très apprécié auprès des amateurs, comme narrateur lors d'illustrations de films et de dias-shows. Malheureusement il n'a pu apporter son talent que peu de temps auprès de la radio senior Silbergrau. Nous avons perdu un ami extrêmement chaleureux. Nous adressons nos condoléances et notre sympathie à sa femme Ruth et à ses proches. Take part in a Radio Programme! Soundscape Productions have been commissioned by BBC Radio 4 to produce an experimental documentary - 'Then-Now'. The idea behind the programme is to create a 30 minute programme out of a single minute in time! - This Wednesday, 9th November at 18:00. So could you possibly record just one minute of whatever you happen to be doing at that time? Even if you are recording something - could you send us a copy of that precise minute? They are seeking a wide variety of recordings which capture the diverse nature of the UK. They also need people who might have access to audio [and video] recording equipment which is why they are contacting sound recordists. Details about the project are available the Soundscape Productions web site. Please contact the company by e-mail if you, or anybody you know, might be able to contribute. 57 sound and video amateurs from eight countries met in the Radio studio in Lugano. 33 audio entries from seven countries had to be judged. The AUDIO GRAND PRIX winner is for the first time Markus Mast of Switzerland with the recording "Der lachende Hahn auf dem Bauernhof". Switzerland also won the national classification, with the United Kingdom in second place. The VIDEO GRAND PRIX winner came from Switzerland: it is the team German-Swiss Friendship with the entry "Blumen für Vater". 16 videos were presented. Great Britain had the best national selection with Switzerland coming second. The new MULTIMEIDA Category was won by André W. Hartensveld from the Netherlands with his entry "Inverewe Gardens". For the first time France could not take part at the contest. RADIO FRANCE and especially RADIO FRANCE CULTURE have decided to cancel the program for sound hunters and the support for the CIMES. Dominique Calace de Ferluc is trying to find another radio platform for the sound hunters. The detailed results are on the CIMES 2005 page. Alfred Köhli - FICS treasurer - had to give up his job due to illness. As our accounts are kept in Switzerland, it was agreed by the congress that the general secretary will take over this task. All other FICS officers were re-elected. 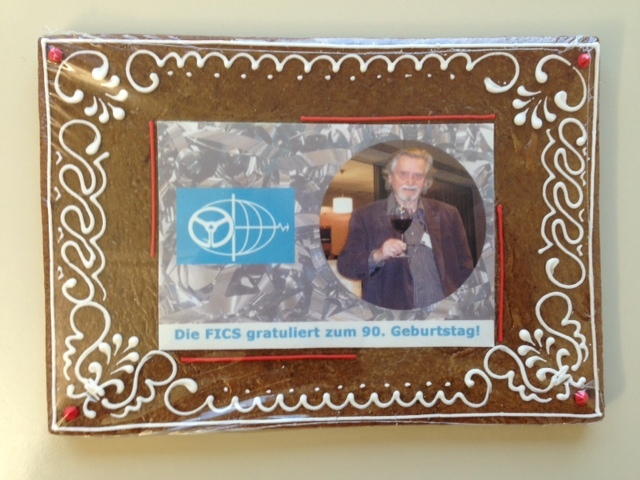 The FICS subscription was reduced to EUR 100.00 from 2006. A Euro bank account will be opened. These events will be held from 26th to 30th October 2006. The theme for Kategory G is "Picture the Future! ", open for Audio, Video and Multimedia. Contactaddress: e-mail. The CDs from 1991 to 2003 are still available at the price of EUR 8.00 including postage and packing (from 2 pieces only EUR 5.00). See CIMES CDs. We regret that this meeting in Pilsen, Czech Republic, had to be cancelled owing to lack of bookings. This contest and the congress will be held from 20th to 24th October in the southern part of Switzerland. We shall be guests of RSI - Radio svizzera di lingua italiana. The official invitation will be sent in the first quarter, 2005. 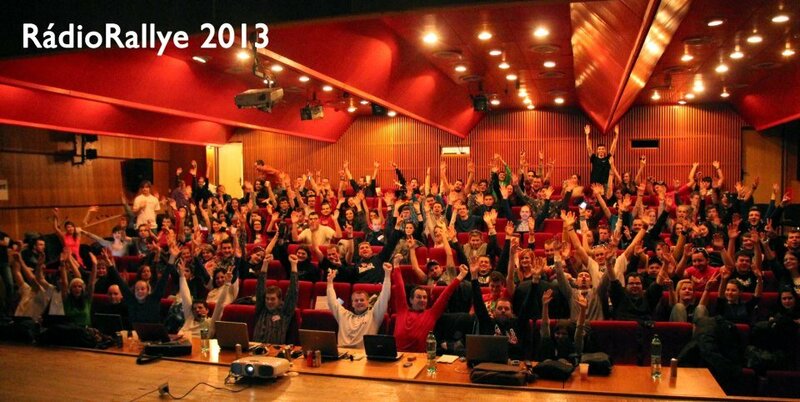 We would be very glad to welcome many sound and video amateurs in Lugano. The theme for Kategory G is The Magic of the Lake. For the first time also open for VIDEO and MULTIMEDIA. The CDs from 1991 to 2003 are still available at the price of 8 Euro including post and packing (two or more only EUR 5.-- each). The new edition for 2004 will appear in March 2005. BSRA members might like to know that there is a classical sound recording techniques course at Canford Summer School of Music this year. The school is located near Wimborne in Dorset, and is in a truly beautiful setting. The course is a week long, and those who attend will I am sure be able to benefit from the fact that there is classical music going on all the time as part of the various music courses taking place during the week. There are usually several concerts every day, some given by the professionals, others by course members, and the acoustic in the main concert hall is in my view rather good, with plenty of reverberation to play with. There are other places where (I presume) music can be recorded. See the website for some idea of the variety of music being taught and performed. The standard of music-making is excellent, and the social aspects of the week are likewise to be wholly recommended. Overall, there is a super atmosphere at Canford, and a very high proportion of those at the summer school have been there several times before. I've been on the Piano Accompaniment course at least 7 or 8 times, and can thoroughly recommend Canford for a great week of music. As visitors may be aware our domain was unavailable between 6th and 20th February 2004. This was due to a problem between my ISP, Freedom2 Ltd. whom we paid for two years, and the registrar, Joker.com in Germany, which claimed it had been paid for one year. This has now been resolved by Freedom2 Ltd., and we pass on our apologies to all those affected. The British Sound Recording Association will hold it's 2004 weekend get-together from April 23rd to 25th in Cardiff, based at the Moat House Hotel which was used for the 50th CIMES in 2001. The weekend will feature guest speakers, social gatherings and an optional boat tour of Cardiff Bay. A very attractive weekend price has been negotiated with the hotel, and further details will be published here when available. Soundhunters from overseas will be very welcome to participate. The 47th FICS Congress was held at Maison du Radio France in Paris on Saturday 8th November, 2003, organised by the French Soundhunters with the assistance and sponsorship of Radio France. A brief summary of the proceedings follows. Tributes were paid to honorary members Paul Robert (France) who died in March and Miroslav Stepanek (Czech Republic) who died in January 2003. Some members of Paul Robert's family were present. Marco Rovara (Italy) resigned as a director and no replacement was nominated. Uwe Mehlhaff (Germany) proposed and was appointed to the new post of Delegate for Audio, complementing the Delegate for Video and Diaporama (Ekkehard Neumann). The 53rd CIMES/48th FICS Congress will be held in the spa town of Piestany in Slovakia as previously announced. The event will take place from 21st to 25th October, 2004 and the theme for Kategory G is "Stand up and Walk" which is based on the town's Latin motto (more details). CIMES 2005 will be held Lugano, Switzerland, and the following year it will be held in the Netherlands to coincide with NVG's 50th anniversary. A proposal from Ekkehard Neumann to abandon the diaporama section of the contest was discussed and deferred for a year to allow alternatives to be considered. There could be an additional video category for audio-visual presentations on DVD or CD-ROM (including PowerPoint?). FICS subscriptions for member organisations are reduced to CHF250,00 for three years. Full results of the 2003 International Contest can be found here. The 2003 CD will be published in March 2004. Details have been announced for the Photokina Videofun competition for filmmakers. The closing date is 15th April, 2004. The 30 winning entries will be shown at the Photokina trade fair in Köln from September 28th to October 3rd. For more details in German and English see the Prophoto-Online web site and follow the "Photokina Videofun" link. Because of space limitations at Feeedom2 this site is now hosted at eUKhost.com. We hope this will not make any difference to visitors. Nous avons reçu l'information du décès de notre ami et membre d'honneur de la FICS PAUL ROBERT. Paul Robert a été président des chasseurs de sons en France (FFCS) pendant beaucoup d'années. Il a été fortement actif pour développer l'enregistrement par des amateurs en France. Il a collaboré intensément avec Jean Thévenot, créateur de ce violon d'ingrès et co-fondateur de la FICS. Paul Robert a tout fait pour assurer une position importante des activités des chasseurs de sons en France. Chez RADIO FRANCE, qui organise les concours annuels pour les travaux des amateurs, Paul Robert a produit pendant beaucoup d'années l'émission hebdomadaire des chasseurs de sons sur Radio France Culture. La FICS a perdu une personnalité. Wir mussten heute leider vernehmen, dass unser Freund und FICS-Ehrenmitglied PAUL ROBERT am Sonntag, 18. Mai 2003 verstorben ist. Paul Robert war viele Jahre Präsident der französischen Tonjäger (FFCS). Er war während Jahrzehnten an den FICS-Kongressen und am IWT dabei. Paul Robert hat sehr viel getan für unser Hobby und die FICS. Jahrelang hat er intensiv mit dem Förderer der Tonjägerei in Frankreich und Mitgründer der FICS, Jean Thévenot, zusammengearbeitet. Paul Robert sorgte dafür, dass das Tonbandhobby in Frankreich eine wichtige Stellung einnimmt. Bei Radio France, das die jährlichen Tonjägerwettbewerbe in Frankreich durchführt, betreute Paul Robert während Jahrzehnten die wöchentliche Sendung. Die FICS trauert um eine ausserordentliche Persönlichkeit. 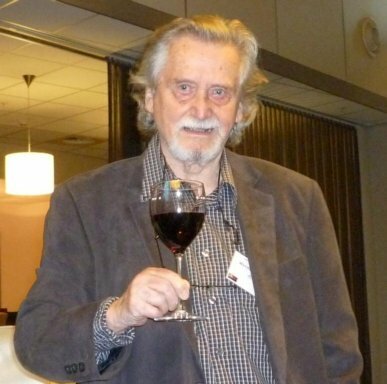 Today we received the information, that our dear friend and honorary member of the FICS PAUL ROBERT has died. Paul Robert was president of the French Sound Hunters for many years and he attended the FICS-congress and IARC for a very long time. He has done a great work for our hobby and the FICS. 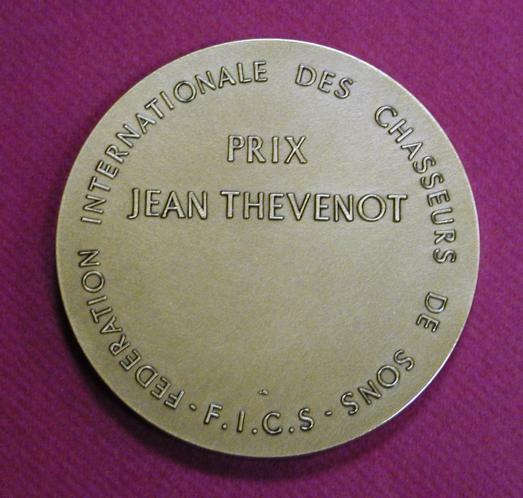 For many years he worked together with the founder of the FICS, Jean Thévenot and produced a large number of the weekly sound hunter programmes on Radio France. The FICS has lost a great personality. 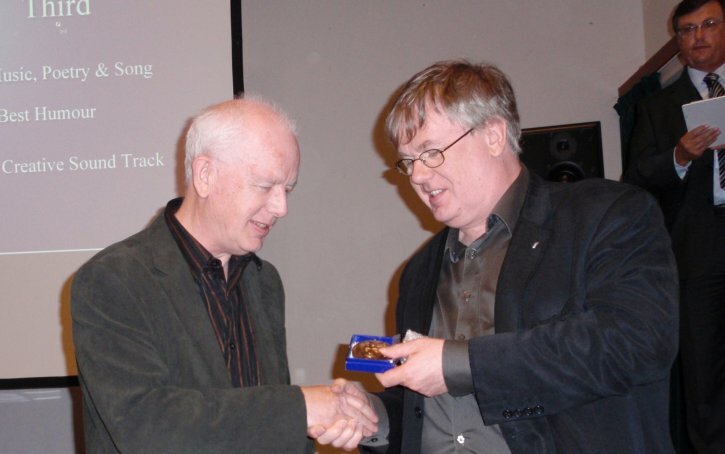 The British Sound Recording Association has appointed Dennis Goodwin as a Member of Honour. Dr. Goodwin recently retired as Honorary Treasurer of the FBTRC (now the BSRA) after serving for 22 years and he was an active member of the North London Tape Club. A special medallion was presented at the Association's AGM in Torquay on May 10th. The 52nd IARC will be held from 6th to 10th November, 2003 in PARIS in the studios of RADIO FRANCE. Everybody is welcome; PARIS is always worth a journey. Please register for further details. The German sound and videofriends are inviting us to this meeting in the old commercial town CHAM, in the nature park Oberer Bayerischer Wald. This region is very suitable for some further days' stay before or after the DACH-meeting. Full details will be available soon. The editions for 1991 - 2002 are still available at the price of 8 Euros including packing and postage. By ordering 2 or more CDs the price reduces to 5 Euros each.